Mortgage loans have an extraordinary amount of paperwork that lenders are required to retain for compliance and legal purposes. Checklists are used to help a lender track pre-closing and post-closing documentation. A post-closing checklist is attached to every loan file to recap the inclusion of copied documents such as a borrower’s pay stubs, settlement statement, homeowner’s insurance and annual property tax bill. The loan approval form reflects underwriting requirements used to qualify the borrower for a mortgage. Information that is verified by a loan processor or an underwriter clears the condition from the list of approval requirements. A completed loan approval form satisfies a lender’s due diligence to issue a mortgage loan. 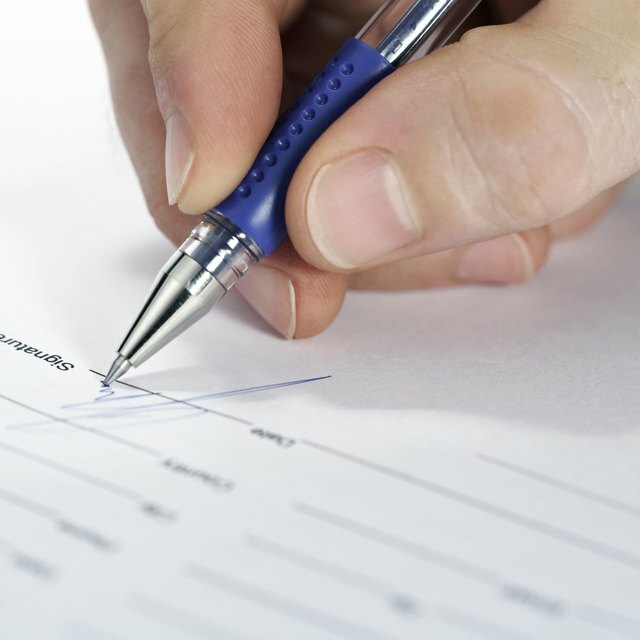 The loan approval form is a valuable post-closing document, as it reflects the name and date of the person who authorized the clearance of each loan condition. Disclosures inform a borrower of her legal rights and documents the financing terms, as well as the loan costs. Federal and state laws require mortgage lenders to inform borrowers of fair housing laws, equal opportunities to credit and certain provisions, such as the right to receive a copy of their home appraisal. Lenders are required to provide borrowers with a good faith estimate of the closing costs within three business days of a completed loan application. Ensuring these documents are kept within a post-closing folder could help resolve discrepancies and toward meeting requirements for compliance with the law. Inspections are typically performed during the loan process to find the condition of a home. An appraisal report provides the opinion of value from a licensed professional who performed an on-sight inspection of the property. Pest inspections are required by most lenders on purchase transactions to check the property for rodents or damage caused by wood destroying insects, such as termites. Home inspections are typically optional; however, if a borrower enlists the services of a licensed home inspector, a copy of the report should be retained with other post-closing documents. Documents such as the deed of trust and the mortgage note are items that a lender is required to file within the local county courthouse. The mortgage note displays information about the terms of the loan, such as the interest rate, monthly payment and property address. A deed of trust should certainly be included in the checklist of mortgage documents, as it reflects a lender’s security interest within a property and the right to foreclose if a borrower defaults on the loan terms.